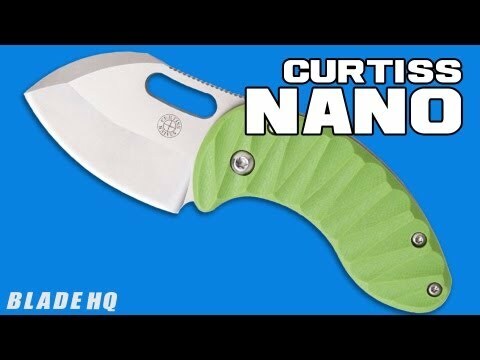 The Nano Framelock from Curtiss Knives is a small knife that scores big with performance and looks. 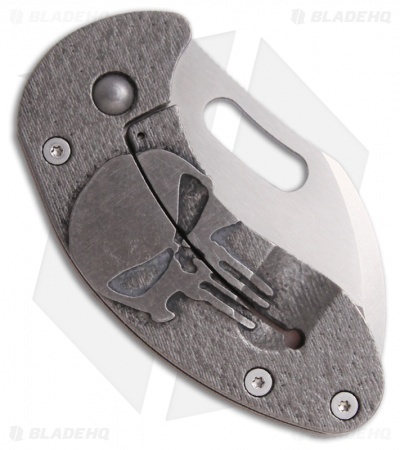 It features a titanium framelock with a skull design. 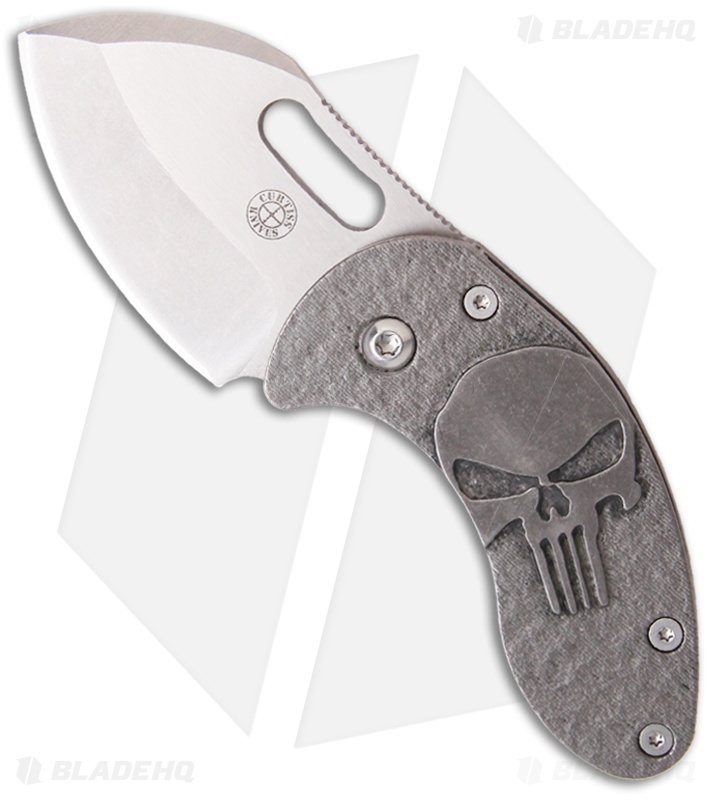 The blade is CPM-154 steel with a thumb slot for opening. The blade has a two-tone finish with stonewashed grinds and satin faces. The spine of the blade has jimping and the curved handle has an excellent feel in hand. The Nano comes in a padded nylon pouch.